Quinn lay in his bed. Outside the wind howled through the trees, blowing them against his window. He stood and walked over, peering out through the panes of glass. "I wish Father had let me go with him. I want to be a warrior, just like him. 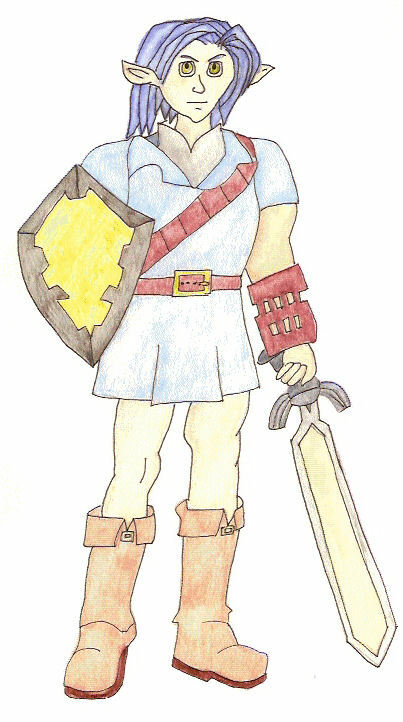 I want to rescue damsels in distress and fight dragons and carry a sword. He made me stay home with the girls. I am too old enough." He climbed back in bed and pulled the covers over him. "I am too old enough." He fell asleep and woke the next morning to rain. When he went into the kitchen his mother was baking and his sisters were chopping carrots and turnips. The door opened and his father stepped inside, dripping from head to toe. "Father, you're home. Did you slay any dragons?" Quinn's eyes bulged with excitement. "I killed three dragons, all black." His father put a sword on the table and his shield on the floor. "Can I go with you the next time you go, Father? I'm old enough," Quinn pleaded. "Yes, you are," Father said, looking at his son. "It's time you learned to slay a dragon." Quinn was so excited. He ate his breakfast and ran outside. He found a stick and pretended it was a sword. Every day he practiced. One day his father called him into the house. "Quinn, I have something for you." He handed Quinn a gold and silver sword. "Here is your sword and here," he said handing him a shield, " is your shield. You're old enough now to slay a dragon." Quinn took his sword and shield outside and practiced every day. One day he was walking through the woods and he came upon a nest. Inside the nest was one egg. "That's a big bird egg. I've never seen such a thing." The egg started shaking and tiny cracks appeared. Soon a beak burst through and then the rest of the creature. "That's not a bird. It's a baby dragon." Quinn bent down. "You're a cute little thing." The dragon squeaked. "Where's your mama? Are you hungry?" Quinn sat by the baby dragon all day, but it's mother didn't return. "I guess I'll have to feed you." Quinn snuck into the house while his mother and sisters were working in the garden. He took a piece of venison and carried it to the dragon. "Here you go. Eat this up." The baby dragon devoured it. Every day for a week Quinn fed it. One day he went to the dragon and saw its mama was with it. "Good, she's back." He thought about how his father killed dragons. 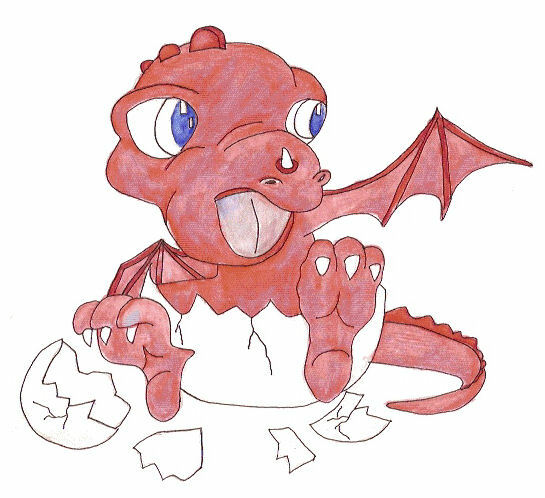 "Maybe there are other baby dragons out there without their mama. I won't kill any dragons, ever, I promise you that." He made a vow and waved goodbye to the little dragon. "Quinn, it's time to go dragon hunting," his father called one morning. "I'm not going, Father. I won't kill dragons." His father stood with his mouth open. "Quinn, you're old enough now to kill dragons." "I don't want to, Father. I will not kill a dragon." Quinn put the sword on the table. "You can take the sword and shield. I am going to help the dragons. They are good creatures and I will not kill them." Quinn's father took the sword and shield and rode off on his horse. Quinn went into the forest and found the nest. The mother dragon, a big red dragon, sat with the baby. When Quinn approached, her wings went out. "I won't hurt you. I will never hurt a dragon." Quinn smiled at the baby. It jumped from the nest and ran to Quinn. When its mother saw her baby and the boy, she welcomed Quinn. He devoted his life to being a dragonkeeper, protecting them from harm and as the years went by, he was able to convince his father and others to stop killing dragons.